Felicia Lawrence from WCIU’s The Jam interviews Omari Hardwick about his work with Gentleman Jack’s Real to Reel and the program’s goal to uplift Black voices in the film industry. At Flowers Communications Group, we are often tasked with managing media opportunities for celebs on behalf of our corporate clients. As a multicultural agency that performs work for the total market, sometimes we have the difficult choice of deciding which outlets/reporters can get access to our talent and executives for interviews and content. 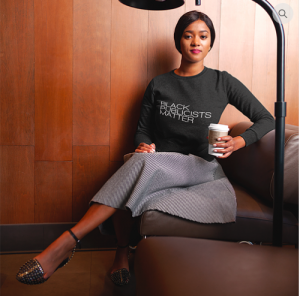 Recently, I watched an interview on the Breakfast Club radio show that featured Black entertainment blogger, Jasmine Brand, where she shared some personal thoughts on how she felt Black press is often (mis)treated at red carpet events—particularly as it pertains to covering Black celebrities (listen to her comments HERE). From that interview, I was led to an article from January 2018 on HelloBeautiful.com by Keyaira Kelly entitled “How Black Hollywood Is Failing The Black Press.” In her article, Kelly expressed her frustration with how Black celebs will often rise to the ranks of mainstream relevancy, but then be sheltered away from Black media outlets by their personal publicists due to those outlets not being seen as important or having the same reach as some of their general market counterparts. Although I 110% agree with both Jasmine and Keyaira’s critiques, I also feel it is my duty as a PR practitioner to provide another perspective for my PR compatriots who are often on the delivering end of dictating what assets media outlets are given access to. Corporate clients (as much as we love them) are usually very laser-focused on meeting certain goals and key performance indicators when it comes to press coverage. Maximizing impression numbers and reach can sometimes take a back seat to garnering exposure with a particular audience that is not seen as the mainstream. Keep your content fresh: A news outlet that shows frequency in their content demonstrates to a PR team and a brand that you are actively keeping your outlet abreast of the latest news and topics. If your last post was more than 90 days old, it makes it increasingly difficult to fight for your outlet to be included in a media tour or give prime access to events and talent. Build your social media following and keep them engaged: Often times, what online sites might lack in terms of page viewership or click through rates, they can make up for in social media followership and engagement. Some outlets and influencers have made their name by micro-blogging through platforms like Instagram and Twitter. The appeal of “media coverage” has shifted with the digital age. If you can showcase a true audience of followers who comment, like and share your content, it can put you on the radar of brands. Be responsive when PR teams call: This really is a pet peeve of everyone who works in public relations for outlets of any size. Time is always of the essence when it comes to booking a media schedule. When someone reaches out to gauge interest from your publication, it’s best to respond within 24 hours at minimum so that they can secure a slot for you from the onset. If you are not interested in covering a topic, a polite no thanks response is appreciated. If you can add a sentence or two as to why you are not interested, that will do wonders in both making the PR team and the client know what types of content you are interested in covering for future reference. Be flexible with schedules and deadlines: Most PR teams would love to give access to and gain (positive) coverage from every outlet that comes calling. If you’re a smaller or targeted outlet, I would recommend being as flexible as you can with your schedule. If there are certain windows of time that the PR team has made available, try to make those slots work—within reason. To be clear, I’m not advocating that ethic press or any other minority media outlet diminish themselves for the sake of a story. I am petitioning for all outlets to see the full landscape, and when applicable, be willing to stretch themselves to work within the boundaries that PR teams have—which often are not a creation of their own. All that to say, if we need you to come a little earlier, stay a little longer or share your publication date so we can monitor the coverage, we appreciate your partnership. Ultimately it will open doors where clients will appreciate you and PR teams will reach out more frequently because they view you as a great partner. At the end of the day, we PR folks are evaluated by our clients on both the quantity and quality of our media hits. A full article in USA Today or 5-minute segment on Good Morning America is every PR person’s dream, but we also recognize that generating buzz among a myriad of smaller, targeted, and mid-size outlets is also a huge win. Unfortunately, clients are not always aware of this, so it is our job not only to pitch and secure the coverage but also to educate them about many of our media partners. With that said, Black press and ethnic media outlets deserve a fair shake when it comes to covering newsworthy topics. This is especially true when the topic either primarily features a celebrity of color who appeals to ethnic audiences. Media outlets should be evenly distributed on red carpets and given comparable time on media tours. It’s not enough to just have them there; access is important to quality content. 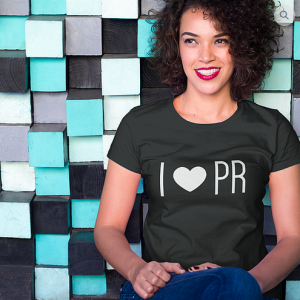 As Black PR pros (or Black Publicists) it is our responsibility to make sure that we not only engage with these outlets, but also that we put the “relationships” back into Public Relations to create mutually beneficial interactions for agencies, clients, publications and readers.